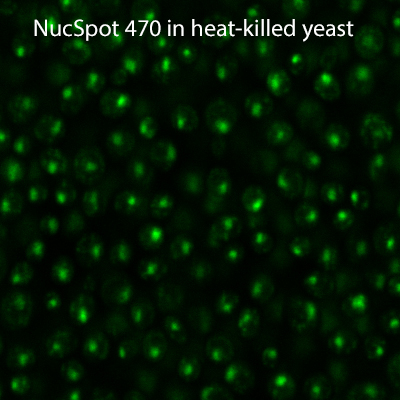 NucSpot® 470 is a cell membrane-impermeant green fluorescent DNA stain. It is virtually non-fluorescent in the absence of DNA, but fluoresces bright green upon DNA binding. 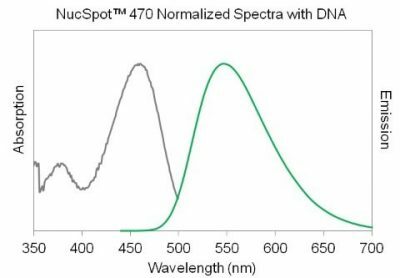 While other green nucleic acid stains like TOTO®, TO-PRO®, or SYTOX® dyes stain both the nucleus and cytoplasm, NucSpot® 470 specifically stains the nucleus of fixed and permeabilized cells. 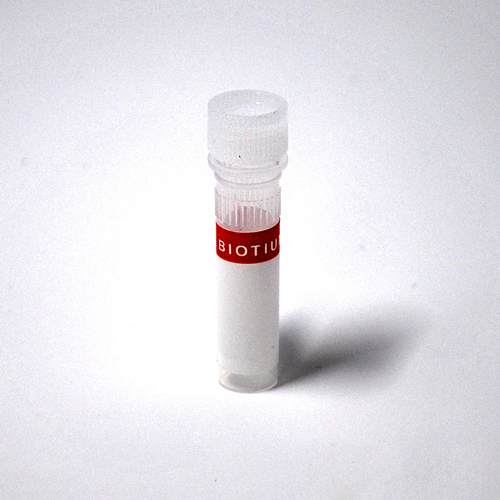 It also can be used to selectively stain dead cells in living cultures. NucSpot® 470 is nuclear-specific in dead or permeabilized yeast cells. It is dead cell specific in gram-negative bacteria. In gram-positive strains there may be live cell staining. See our Cellular Stains Table for more information on how our dyes stain various organisms. NucSpot® 470 has green fluorescence (Ex/Em 460/546 nm) that can be imaged using standard settings for FITC. With excitation at 460 nm, it also is an excellent match for instruments with blue LED excitation sources. Learn more about our full selection of Cellular Stains for the nucleus and other organelles. TOTO, TO-PRO, and SYTOX are registered trademarks of Thermo Fisher Scientific.